Fast browsing of images from multiple folders! Supply a text file with full path of images per line then scroll thru each image in the file. This is useful if you want to browse only specific images spanning multiple folders! Fast browsing of images from a folder. Saves catalog as delimited text file. A small utility which will notify you of your appointments! Just set the date, time, event and go! 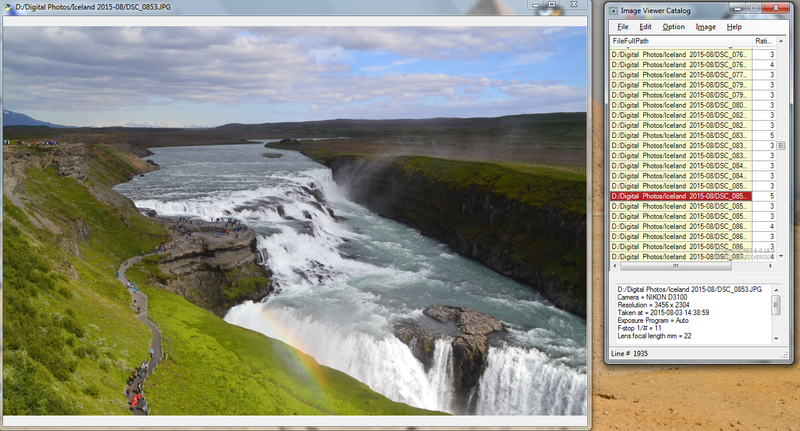 When you minimize, it sits on the system tray. At the time of your appointment, it simply flashes a reminder message as topmost window. A simple application to keep track of your to do items for the day. Check when something is done and it will not appear in list when program reloads. Using this application, you can view/modify any XML or delimited text file in grid. You can associate XML file with XSD schema. You can validate data entry in XML file, transform using XSL and query using filter. You can even convert files between XML and delimited text format. This is a multiple choice exam builder. It has an Access 2000 database where you can enter questions and answers. Then you can use this front end application to ask a candiate appear for the exam. You can add as many exam topics and questions as you want. A question may have one or more correct answers. Question may even include diagrams. At the end of exam, score is calculated and stored in the database for the candidate's name. Windows Search tool is just bad. This small application will search for words inside files under a given folder (including sub-folders if you wish). 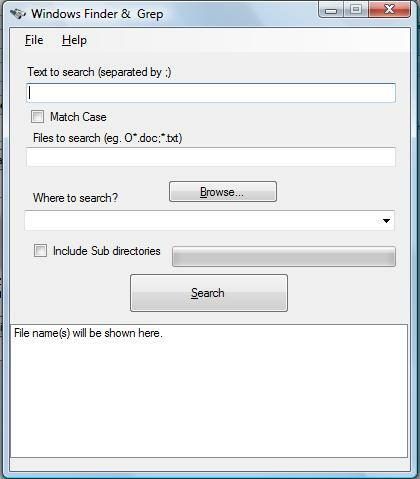 It not only searches inside text files but also doc, pdf, xls etc. all types of files as long as you have application installed in your computer to open that particular file type. This is equivalent to Unix grep command. Windows Explorer does not show you size of all files under it. 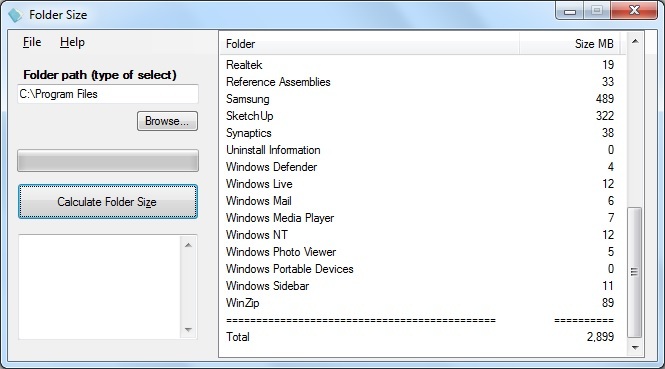 Using this program, you can see at a glance what is the total size of each folder.